One size fits one: MedTech Consulting Cossmann appreciates that each client and each engagement is unique: each represents different opportunities and challenges, goals and objectives, situations, players, issues, cultures, and other differences. Consequently, the firm customizes its relationships, approaches, thinking, strategies, and methods to each of these unique clients and individual projects. Practical vs. perfect answers: MedTech Consulting Cossmann seeks consulting approaches and solutions that are practical, relevant, workable, and implementable. 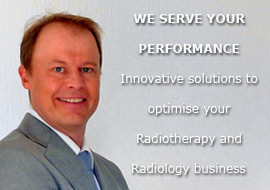 The most important thing that MedTech Consulting Cossmann offers is TRUST: Trust in our expertise, experience, methodologies, approaches, judgment, advice, recommendations, integrity, ethics, and in our relationship.